A radio station used by ISIS to spread extremist ideology in one of the cities it conquered has been bombed out of operation, officials said Monday. The Al-Bayan radio station was "one of the strongest" propaganda tools for the militants inside Mosul, a spokesman at Iraq’s Joint Operation Command told NBC News. Broadcasting stopped Sunday after the station was bombed by Iraqi jets, the spokesman said. Backed by U.S. forces, the country’s military is poised for an attempt to retake the city of 1.2 million, which was overrun by ISIS fighters in June 2014. "They used to broadcast Islamic anthems that encouraged people to join them," the Iraqi military spokesman said. The ISIS radio station urged people "to stand against the government and encouraged people to be terrorists under the name of jihad," he added. The airstrike came days after the radio station’s director, Abu Yaman Al-Iraqi, went missing with his family, the spokesman said. This prompted ISIS fighters to post his picture all over Mosul and ask its residents to come forward with any information leading to his detention. "ISIS used many means to broadcast their poisoning thoughts and ideologies — Al-Bayan radio station is one of them," according to a 27-year-old former resident who asked not to be identified for fear of reprisals. 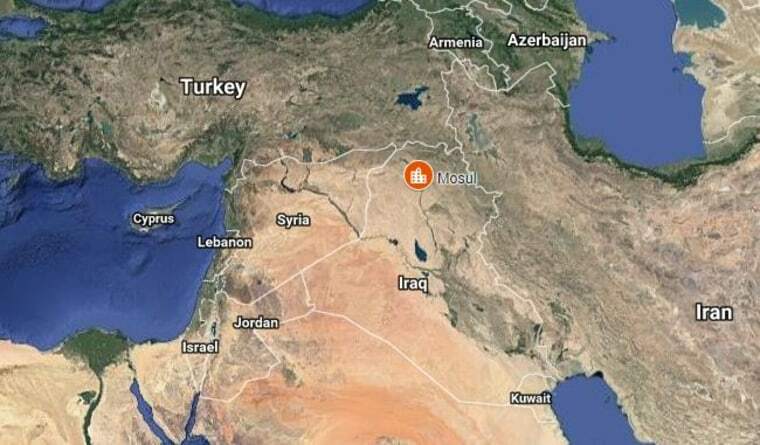 The man, who fled Mosul last year and now lives in nearby Irbil, told NBC News that ISIS would "broadcast Islamic anthems that create hatred against America inside those young, weak people." He said ISIS would blast the station out of speakers they erected in public places, meaning he was forced to listen to it when he went to market. "I believe that destroying their radio station is considered as a blow for their organization," he said.